makes great strings, which sound spectacular and help players get the sounds they want. And… they make it fun. Dean Markley is a bunch of great people who truly love what they do. Their employees work diligently to insure they manufacture the world's finest guitar, bass, mandolin, banjo, and other fretted instrument strings that can be found anywhere in the world. The same thing goes for Dean Markley acoustic and electric guitar amps. Starting off as a very small string company that focused on quality and original design concepts which produce superior products, Dean Markley has grown into one of the industry's major string manufacturers without compromising those ideals and standards, creating innovative products such as their original Vintage series strings, best-selling Blue Steel strings, much-loved Promag acoustic pickups, SR2000 bass strings, Voice Box (played by Peter Frampton and others), 1980s amps and, of course, the simply FANTASTIC Helix HD Acoustic and Electric strings. Basically every product that the Dean Markley company makes is the very best in its field. 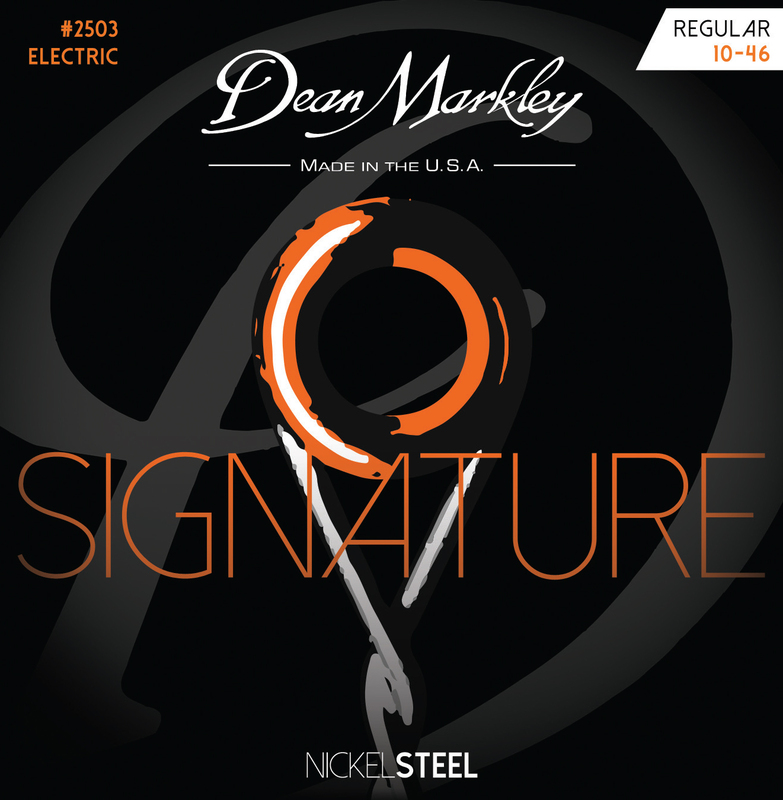 Nickel Steel 10-46 Reg Electric Guitar Strings The cornerstone of Dean Markley Strings.Dean Markley NickelSteel Electric strings remain on top of the best-seller's list year after year. 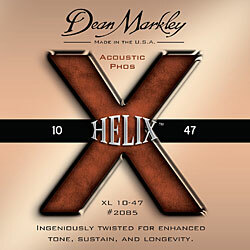 Helix HD Acoustic Phos Guitar String Set - XL 10 - 47 HELIX HD strings are made with a revolutionary new winding technique, creating a tighter wrap and more mass, which seals the strings without the need for coating. This keeps the natural sound of HELIX HD fresh for a long time.